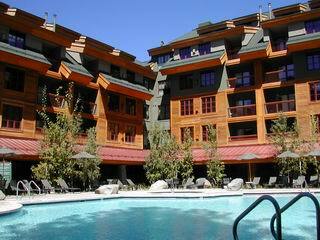 The pool at the Marriott Grand Residence had lots of trees for us shade-lovers, and two hot tubs with the strongest jets we've ever encountered. 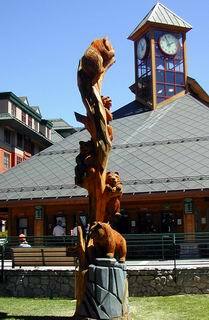 This wooden sculpture of cute bear cubs was located at one of the main entrances to the Heavenly Village. 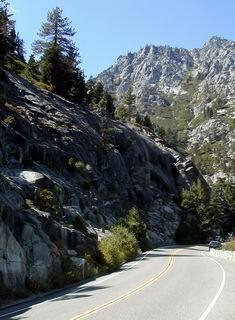 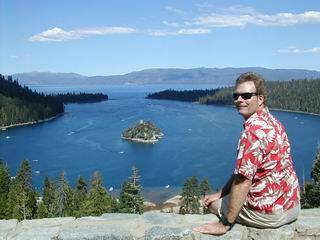 After a great brunch at Llewellyn's on the top floor of Harvey's Casino, we set off for the 72-mile drive around beautiful Lake Tahoe. 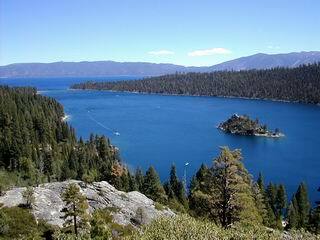 The famous Emerald Bay is one of the most photographed spots on the Lake. 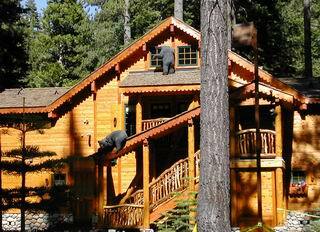 We just couldn't get enough of the beautiful view at Emerald Bay... ...so we stayed and stayed. 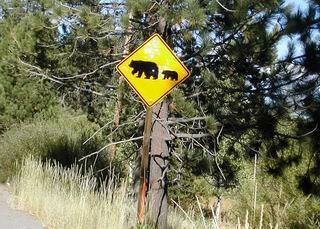 We've never seen a Bear Crossing sign before, and we didn't encounter any actual bears on our drive around the Lake... ...but we did see these mischievous sculptures on the roof of this house.